She's pioneered the way for female journalists. Despite winter break, I've been up at 7:00 am every day this week. 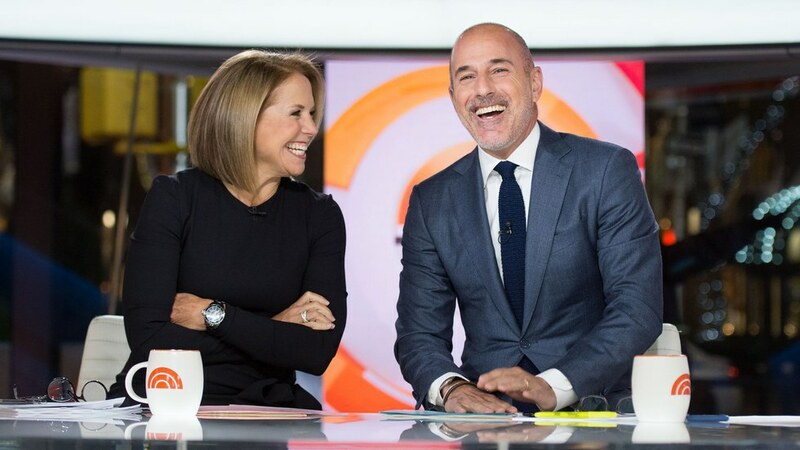 Most college students would say I'm crazy- winter break means sleeping in till noon and staying up till 3:00 am, but how can I possibly sleep through Katie Couric hosting "The Today Show"? This week, Katie Couric fills in for Savannah Guthrie, who's busy wiping bottoms and cleaning throw up while she's on maternity leave. Don't get me wrong, Savannah is hilarious and gorgeous, but nobody can beat the wit and charm of anchor Katie Couric. Seeing Katie Couric behind the news desk for the first time in awhile reminds me why I love Kate in the first place. During her initial tenure as Today Show anchor, she graced the newsdesk with charm, class, and confidence. Instead of just providing the pretty face and ditzy banter most female co-anchors were expected to contribute, she took her role seriously. Katie Couric struck the perfect balance between authoritative and feminine. She could report on more than just fashion trends and celebrity mishaps: she covered everything from the Olympics to 9/11 with a straight face and all the authority of a man, but she never lost her ability to crack a few jokes and lighten the mood. As an anchor, Katie knew how to keep things fresh, and eventually she became the highest-paid TV anchor in a very male-dominated field. And she did all this while raising her two daughters alone after the tragic death of her husband. In 2006, the success and strives Katie made for women in journalism continued, as she became the first solo female nightly news anchor, doing the evening news for CBS. 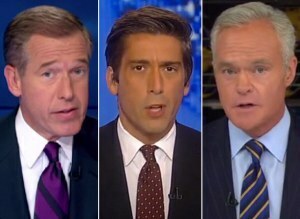 This was a time when all the broadcast-network evening news anchors looked exactly the same: old, white men. Katie pioneered the way for women to finally start hosting the news on their own, and I'm not talking about just E! News. Finally, women owned a face in hard-hitting current events. For the first time, a woman sat at the news desk alone, and we finally had equal representation in the journalism industry. As an aspiring female journalist, I look up to Couric for a variety of reasons: she shows it is possible to pursue both a career and a family, be successful at both, and look good doing it. She can transition from entertaining to earnest with ease, but never appears insincere. She's everything a journalist should be: confident, independent and calm, and she never lets a man overshadow her on the air. As an aspiring journalist, I can only hope to have even half the skill and charm Katie does. So while she's on the air, you bet I'll wake up every early morning to watch.